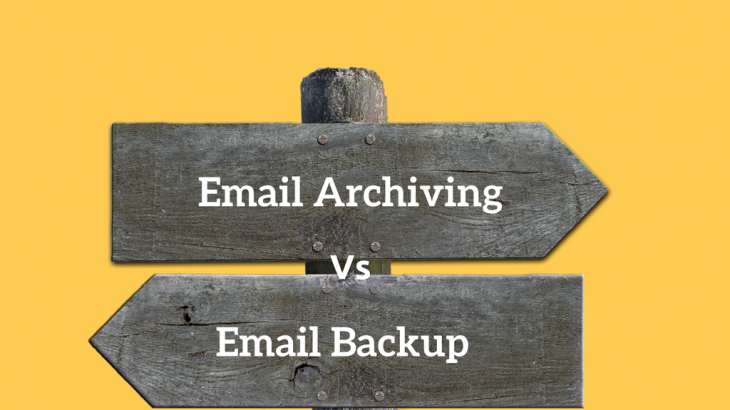 Email Backup Vs Email Archiving : Which one to select? It has become mandatory to keep email data for extensive periods of time. But at the same time this exhibits additional challenge of regularly developing email storage. If an Organization is running email on-premises, then it brings about extra capital costs to keep up and redesign entire storage capacity framework. Key step while deciding email data management strategy starts with what should organizations opt for : Email Backup or Email Archiving? Email archiving is the act of preserving and making searchable all email to/from an individual. Email archival products capture email content either directly from the email application itself or during transport. Those Emails are stored on archival storage in a way to discover quickly for future searches. Email backup on the other hand simply saves a snapshot of email data.It doesn’t generally make it easy to discover and retrieve that data when needed. load balancing with simple backup solution. Email Backup needs to be restored by IT Admin. In the short run, it may be less expensive to dump your email data on to tape backup or a local server. In the long run, email data accumulated over years of operation, the cost of scaling, storing and protecting that data can far exceed the cost of implementing a hosted email archiving solution. Email Archiving, Email Backup. permalink.